Three towns go on parade to celebrate carnival season. On the Caribbean coast, the town of Limón struts in the streets each October, with parades, live music and traditional dancing centered around the seaport Puerto Limón. A one-hour drive from Limón, the coastal town of Puerto Viejo also celebrates carnival in October, with dancers, parades and live music. On the Pacific coast, the port city of Puntarenas hosts seven days of carnival madness in February and March. 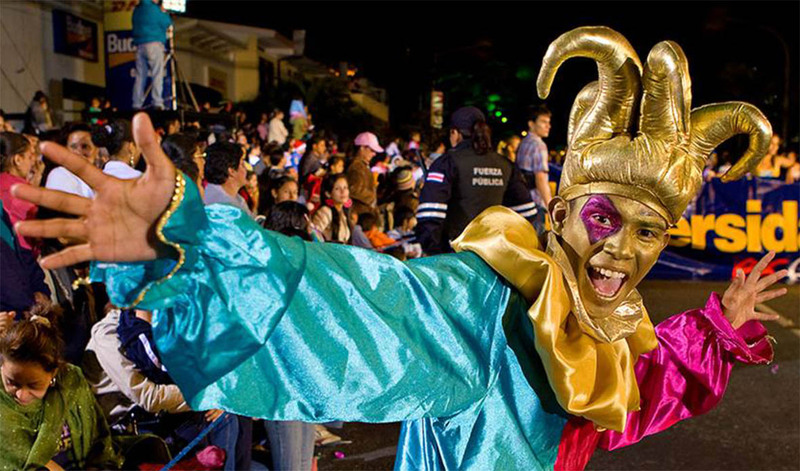 Puntarenas parades feature stilt walkers, motorcycle stunts and processions of “mascaradas,” giant painted heads. Carmen, the Virgin of the Sea, is honored for a full week in Puntarenas, and at Coco Beach, a Papagayo village in Guanacaste. Festivities include concerts, fireworks, dances and parades of colorfully decorated fishing boats that ask the heavens for another safe year at sea. Water parades are led by a boat that ferries a statue of the patroness. Set in the coffee hills overlooking the Central Valley, the town of San Ramón pays homage to its patron saint each August with parades and revelry in the streets on San Ramón Day. To help get the party going, dozens of saints from surrounding towns converge on San Ramón in a celebration of music and dance. See some ropin' and ridin' at the country's biggest hoedown, Los Festejos Populares de Zapote. San José's Zapote fairgrounds go from a quaint farmers market to the country's biggest rodeo each December. For two weeks, attendees take in fireworks, festival food, amusement rides and bullfights, with eating, drinking and dancing going into the night. Northwest of San José, the hillside coffee-country town of Palamares ignites each January for its namesake Palmares Festival. Nearly a million revelers from across the country descend on the hamlet for two weeks of fireworks, live music, folk dancing and rodeos. Not to be missed is the Costa Rican “tope,” a massive parade of cowboys on a horseback. The festival is also notorious for being a booze-fest, with the local label Imperial Beer pouring liberally for 14 days. Two indigenous villages join to put on Fiestas de los Diablitos, or Festivals of the Little Devils. Respectively in December and February, locals from the Boruca and Rey Curre communities recreate a battle between Spanish invaders and indigenous tribes. 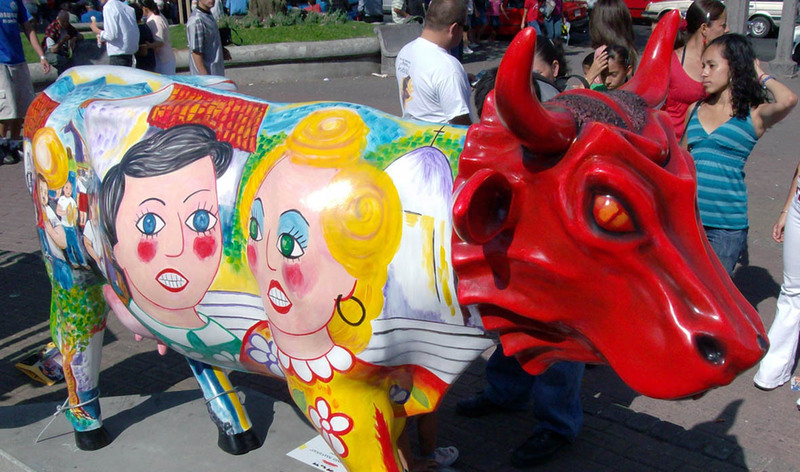 The forces from Spain are represented by a bull, with masks and traditional dress donned to represent indigenous ancestors. The festival is a great excuse to drink lots of “chicha,” a fermented corn drink that's served in hollowed gourds. Festival de la Luz. Thousands of light-adorned floats and cars parade down San José's Paseo Colon during the massive Festival of Lights, a celebration to kick off the Christmas season in December. The masses to take to the streets for parties, masquerade shows and performances from around 1,500 musicians in the first of the month-long yuletide celebrations. How about taking in a Costa Rica art festival? Held in March during even-numbered years since 1992, the International Festival of Arts puts on two weeks of theater productions, art shows and concerts in San José. Venues across the capital city, including La Sabana park, host events.